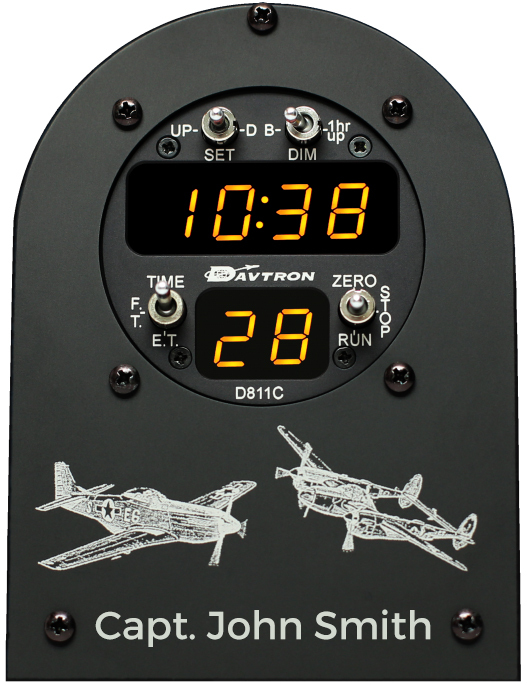 I highly recommend the Davtron D811C. It is a time MASTERPIECE. 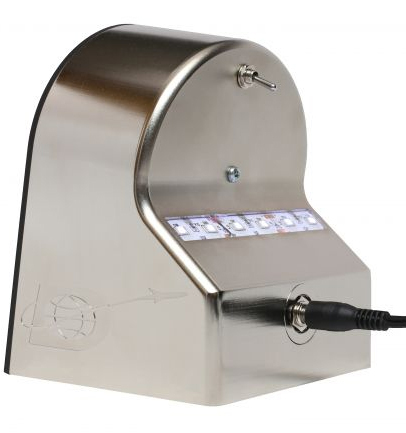 The face is easy to read from any angle and the functions are extremely easy to use. I have checked it against WWV several time and it is accurate to the second. 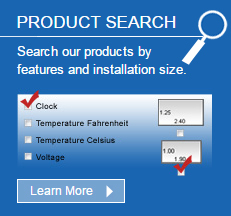 It is interesting to use the elapsed time function when doing projects at my desk. Best of all it looks like it should be in the cockpit of the newest aircraft of the fleet. A unique feature are the LED lights on the back of the unit. They can serve efficiently as a night light on either HI or LO. I requested the Northwest 747 as my aircraft on the face along with my name and CAPTAIN RETIRED. What an honor to display this unit on my desk in the office. 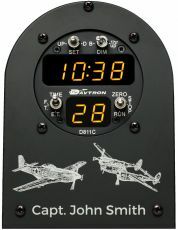 Just looking at it reminds me of 30+ years of flying. 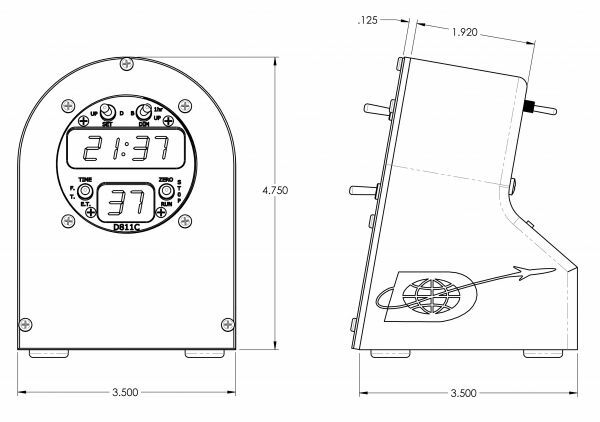 The time piece is only part of the great package. The crafted wood box it was delivered in is an example of the craftsmanship also displayed in the clock. It can be used for several things and is able to be displayed, not hidden away. The two pens and microfiber cloth complete the package of excellence. 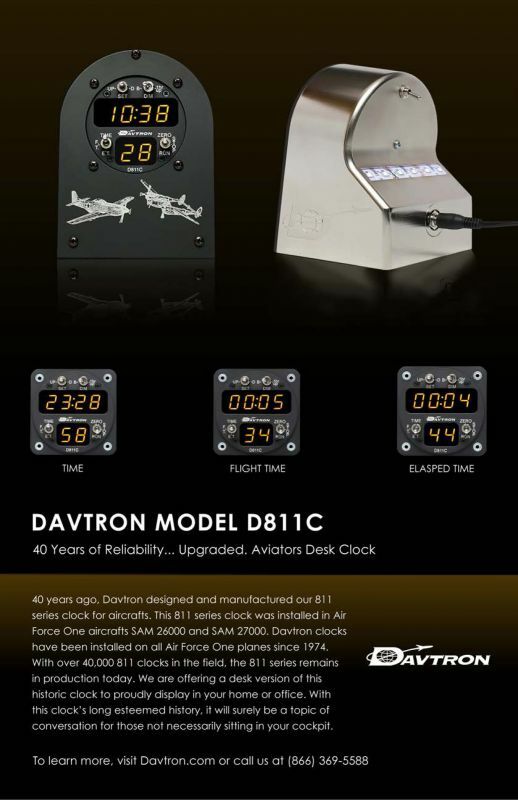 This is truly a package I would recommend to any aviator to purchase. I was very impressed by the wooden box and build quality of the clock. I thought this was going to be all plastic, but the machining, engraving, backlight feature all make an impressive clock for my desk! I've been playing around will all the features this morning and noticed you updated the website with everything too. This is above and beyond expectations. The clock is amazing! The presentation is very, very nice. The wooden box is a beautiful piece, the pens, and the towel all together made this a true presentation piece. The fact that it had my name laser engraved was a very nice touch. The clock is on my desk at home and is on all of the time. I am very impressed with the look and construction of the unit. It sits proudly in my office where it has become a conversation piece. The entire package is very impressive and the instructions that were enclosed are spot-on! 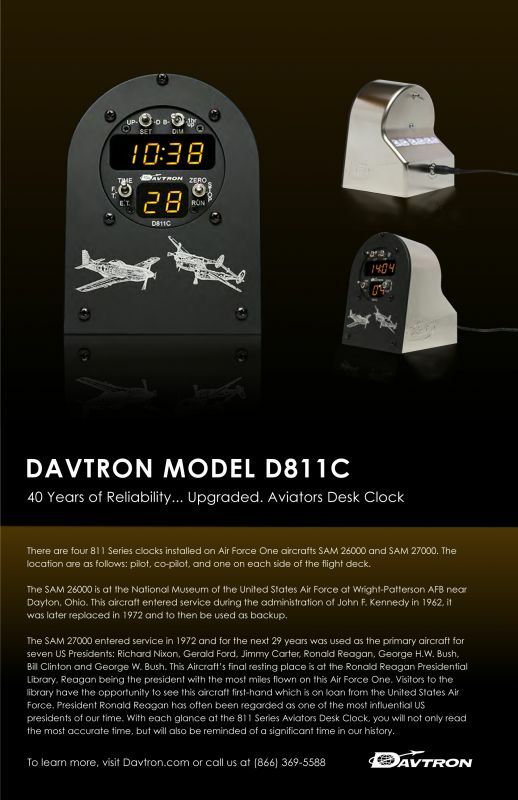 Model 811 Series Davtron clock was installed on Air Force One aircraft SAM 26000 and SAM 27000, See Brochure located in documents tab. Q: Where can I purchase? 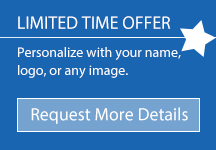 A: See our limited time offer page (free text customization).